No look at Taiwan’s security and defence policies, and at the balance of military power in the Strait, is complete without an examination of missile defence. Not least because the ability to launch massive missile attacks against the Island remains one of the cornerstones of Beijing’s continued attempt to secure overwhelming military superiority, enabling it to either coerce Taiwan into submission, or, if necessary, secure victory in a short war. It is estimated that China currently deploys at least 1,500 ballistic missiles aimed at the Island, to which one must add hundreds of land and ship-based cruise missiles. The ballistic missiles deployed by the PLA Rocket Force (formerly the Second Artillery Corps) are among the most visible faces of the continued risk of force being employed against Taiwan, although it may be argued that the possibility of a successful naval blockade is ultimately more threatening. The ability to intercept incoming ballistic and cruise missiles is important both in order to preserve essential military infrastructure enabling Taiwan to defend itself, and other, civilian or dual-use critical infrastructures, and to protect the civilian population and their morale. This has long been recognized in Taiwanese defence circles, with milestones such as the PRC’s maiden nuclear test in 1964 providing added momentum for work on missile defence, which to this day remains largely dependent on the United States. Work on missile defence has gone hand in hand with the development or acquisition of offensive missile systems. While not formally a party to the different international missile regimes in place, due to its ambiguous political and diplomatic status, Taipei has often been pressured by Washington to curtail its work in this area, and this could well be one of the factors behind the cancellation of some programs. Furthermore, US officials and scholars have often emphasized missile defence over the transfer or indigenous development of offensive capabilities, in some cases in a thinly-disguised bid to appease Beijing, in others in a bona fide yet doubtful attempt to find a compromise solution to the vexed China-Taiwan question. To some extent, we could say that Taiwanese work on missiles seem to be divided into two spheres: missile defence, very much dependent on acquisitions and technology transfer from the US, and offensive missiles, rather resting on domestic industry while benefiting from not always publicized technology transfer from abroad. History, however, has a pendant to teach us two lessons: first, that appeasement only whets an aggressor’s (or potential aggressor’s) appetite, and, second, that it is very difficult (not to say impossible) to draw a clear line between defensive and offensive weapons. The often heard assertion that Taiwanese development of WMD-capable medium and long-range missiles is strategically destabilizing is not shared by everybody (not least by some Japanese officials in private). Thus, while being realistic about the constraints under which Taiwanese defence policy labours and is likely to operate in the short to medium-term, it would be advisable for Taiwan not to tilt too much toward the defensive end of the weapons spectrum. Missile defence, after all, as part of broader air defence, is not a goal to be seen in isolation, but rather part of a comprehensive strategy which must also rest on the ability to inflict unacceptable damage on an attacker, deterring it or imposing such costs that it is forced to give up hopes for victory. Whether this can be achieved purely with conventional weapons is a question which, from a realist perspective, remains very much open. Even if relying only on conventional weapons, and stressing missile defence and other defensive capabilities, Taiwan would do well to keep working towards greater indigenization and to upgrade cooperation with Japan. This could provide greater leeway in negotiations with the United States, which China policy remains confused, lacking inter-agency coordination (with a clear disconnect between trade and defence), and obsessed with concepts such as freedom of navigation while seemingly ignorant of territorial expansion in regions like the South China Sea. 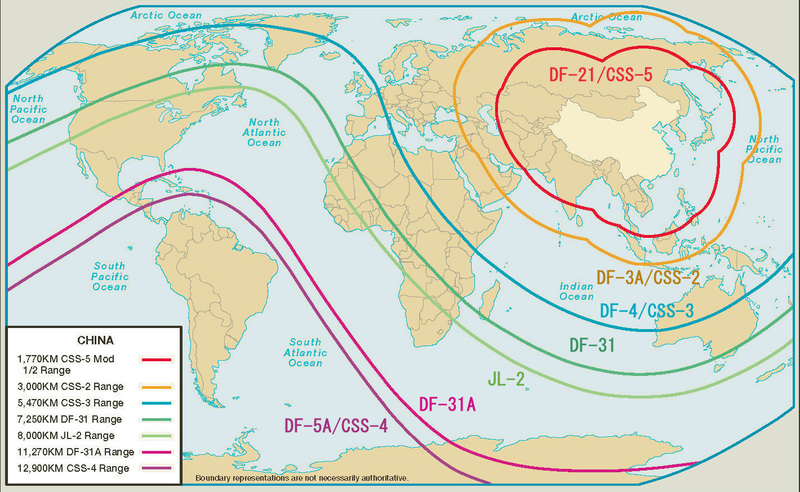 China’s ballistic missiles and their ranges. Image credit: CC by Wikipedia Commons. Already in 1997, Taiwan received its first Patriot Advanced Capability (PAC)-2 systems (comprising multi-functional radar, missiles, and mobile launchers), deploying them around Taipei. In 2001 Taiwan inducted further PAC-2s and the upgrade to the PAC-3 system began, while in August 2009 Taipei signed a $ 3.2-billion deal to procure four PAC-3 systems (including 264 missiles) from Lockheed Martin. This came on top of a $ 600-million contract with Raytheon to upgrade Taiwan’s three PAC-2 operational units to PAC-3. In 2004, Taiwan set up the Missile Command, tasked with integrating air-defence and anti-ballistic missile defence systems and under the Chief of the General Staff, who reports to the Minister for National Defence. Later, further contracts were awarded by the United States for the provision of further hardware to Taiwan, and for the upgrade and maintenance of existing systems. For example, in 2011 Raytheon was awarded a $ 685.7-million Foreign Military Sales (FMS) contract to supply additional Patriot systems, and in 2016 the US Air force awarded the same company a $ 26-million contract to supply upgraded missile warning radar centres (this is expected to be complete by June this year). Taiwan is also among the beneficiaries of an engineering services contract for Patriot batteries secured by Raytheon and announced in January 2017 (estimated to be complete by the end of 2018), and among the recipients of a $ 130.3-million PAC-3 contract awarded to Lockheed Martin Missile and Fire Control announced by the US Department of Defense in July 2017. Taiwan currently deploys nine PAC-3 batteries, some equipped with upgraded PAC-2 GEM systems, and each sporting 32 PAC/GEMs or up to 128 PAC-3s. A further battery is held in reserve. While Taiwan continues to increase and upgrade its ballistic missile defence capabilities, it must be noted that all 444 MIM-104F interceptors (purchased in 2008 and 2010) have been placed with their launchers, with none left to launch a second salvo. Given that the PAC-3 system’s doctrine is to “ripple fire” two interceptors at a missile, in a bid to raise the probability kill (pk) to an acceptable level usually considered to be 90 per cent, these figures, when compared to the number of missiles deployed against the Island, give a clear idea of the challenge faced by defence planners. Current work reflects the three pillars on which military procurement rests: the domestic industry, imports and technology transfer from the United States, and cooperation with third countries. Domestic input seems to be smaller than that found in offensive programs, however it is not lacking. For example, Taiwan is developing the Tien Kung III (TK III) surface-to-air missile system, which features a short-range ballistic missile interception capability. First fielded in 2011, this missile is being upgraded, the program being expected to be completed in 2024, by which time 12 batteries should have been deployed. The TK III is deployed alongside the US-made Raytheon MIM-104 Patriot, early warning being provided by a Raytheon AN/FPS-115 PAVE Phased Array Warning System Also known as Pave Paws. Taiwan’s single such radar entered service in 2013, being stationed in Hsinchu County (in the north of the Island). Developed to detect and characterize sea-launched ballistic missiles, and first deployed in the United States in 1980, it is believed to have a range of 3,000 nautical miles, providing a six-minute warning. In November 2016, the US Department of Defense awarded a $ 26-million contract to Raytheon to upgrade this system, addressing “obsolescence concerns”. Work is expected to be completed by mid 2018. Another domestic missile defence program worth noting is the naval variant of the Tien Chien II radar-guided air-to-air missile, designated TC-2N, deployed on board ROC Navy vessels for defence against both aircraft and anti-ship missiles. It is not easy to estimate how many incoming missiles would be destroyed by the different systems described above. In addition to the limited numbers of interceptors available, we should take into account electronic and cyber warfare, and the difficulties of simultaneously engaging a large number of missiles. Together with the expensive price tag (some NT $240 billion, not far below the current annual NT $300-billion defence budget), this has led some critics to question whether this is the best way to employ scarce resources for national defence. A possible alternative to this low-tier approach could be a three-pronged multi-layered BMD system, amounting to theatre missile defence (TMD) and resting on three legs: first, the already deployed PAC-3 and TK III batteries, second a THAAD (Terminal High Altitude Area Defense) system akin to that recently deployed in South Korea and able to intercept missiles at their apex, and third, SM-3 interceptors aboard Aegis warships (current ROC Navy plans envision an Aegis-like system, albeit for fleet defence only, not reinforcing its land-based counterparts). While much more expensive (estimated at “NT $30 billion for nine launchers, 48 missiles, and support” by Michal Thim and Liao Yen-fan), such multi-layered system makes it much more difficult for a missile to get through, making it “the ideal option” for Taiwan according to those authors. Concerning third countries, we should stress Japan, both because of her advanced work in missile defence, and because due to the tyranny of geography Tokyo cannot afford to see Taiwan finlandized or effectively taken over by Beijing. In other words: Tokyo knows she is next in line and has a powerful incentive to ensure Taiwan remains in friendly hands, although this may not be so easy to translate into effective cooperation in the short term. Concerning the domestic contribution, in addition to underpinning technological progress in the civilian sector, it lessens the risk of the Island being traded away in a crisis scenario. While the US is and will likely remain Taiwan’s foremost defence partner, no country serious about national defence can put all eggs in a single basket or outsource deterrence. 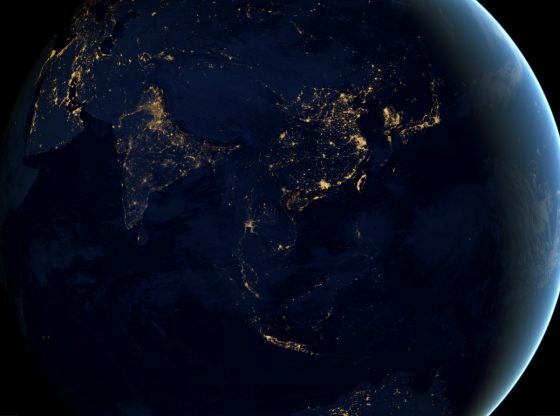 Any country deploying a missile defence system faces a difficult choice between prioritizing the protection of its civilian population and that of its critical infrastructure. While the population is ultimately the arbiter of any political conflict (including any waged by force of arms), a nation’s ability to prevail in war rests on certain essential dual-purpose and military infrastructures, hence the harsh dilemma. To date, Taiwanese policy has favoured protection of the population, as clear from the geography of the PAC-3 and TK III batteries deployment. This runs the risk, however, of isolating the population from the immediate consequences of an outbreak of open warfare in the Strait, making it more likely to fall for the temptation of surrender under the guise of a negotiated peace. The British experience after the fall of France suggests it may be better to present civilians with the stark choice facing them in a bid to secure their support for defiance and ultimately victory. This could go hand in hand with the hardening of military infrastructures (such as hangars and communication centres) long demanded by experts keen to emphasize asymmetrical defence. To conclude, it seems clear that Beijing is not only not renouncing the use of force in the Taiwan Strait, but busily growing its missile arsenal. In these circumstances, the only way ahead for Taiwan is to keep growing missile defence capabilities, with indigenization and growing industry links with Japan providing a welcome counterbalance to continued reliance on cooperation with the United States. Additionally, Taiwan should keep working on hardening possible targets and developing offensive abilities, not necessarily restricted to the conventional domain. What does this statement imply? Should Taiwan acquire weapons of mass destruction? Would not make this necessary to focus limited defensive resources on protecting those weapons against a first strike? Such leaving civil population and civil infrastructure largely unprotected?